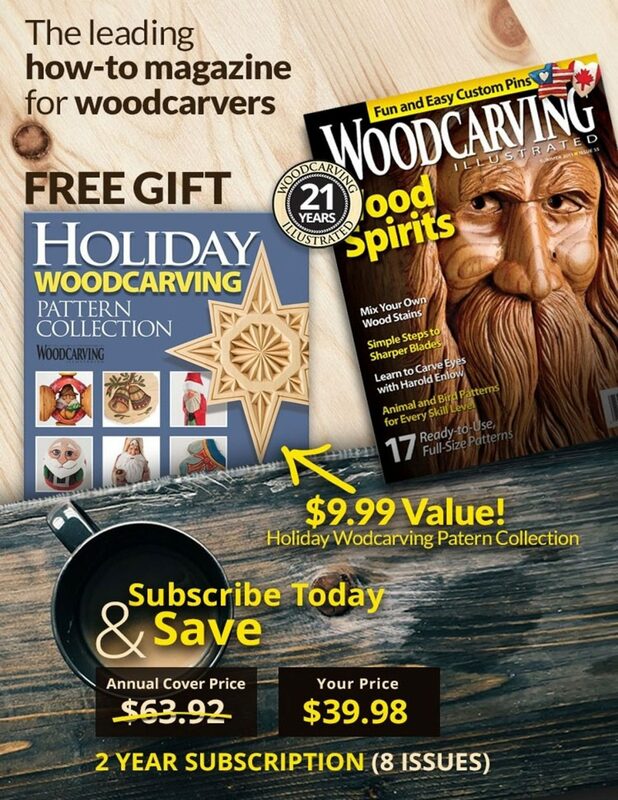 This article was first published in issue 52 of Woodcarving Illustrated. 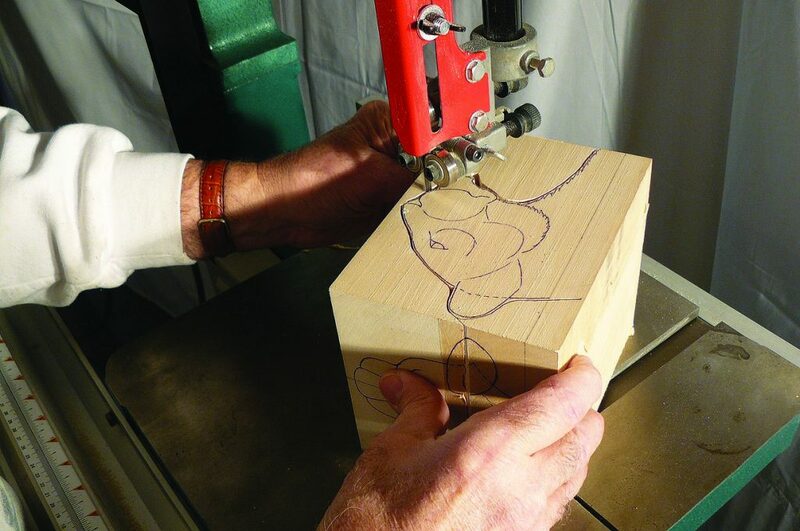 I draw the front, top, and side views of my design on the carving blank. This way, I make sure all of the major points in each view line up with each other. 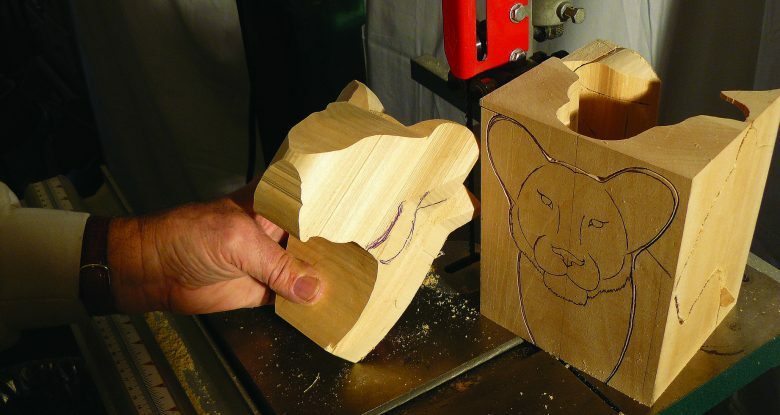 Many carvers only cut the front and side profile on a band saw. 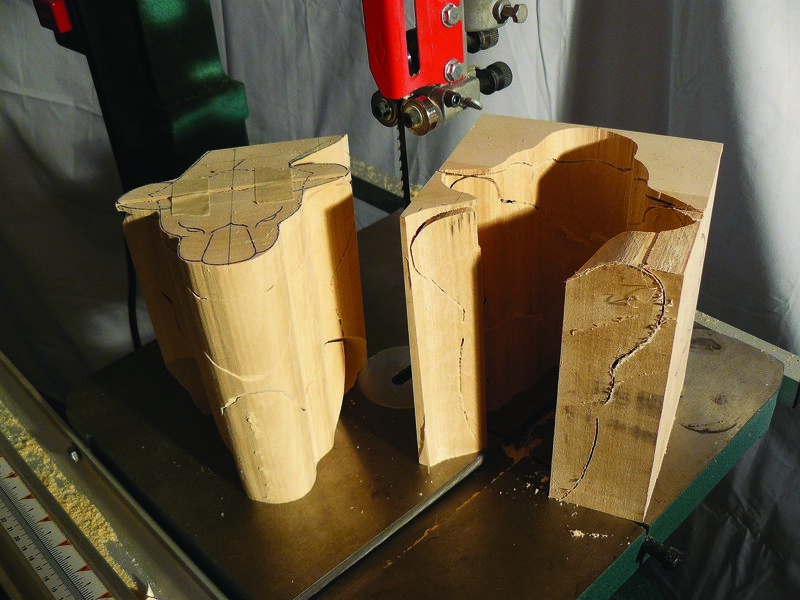 By cutting the top view as well, I remove more waste and speed up the roughing-out process. Round the inside corners of the pattern instead of cutting sharp corners. 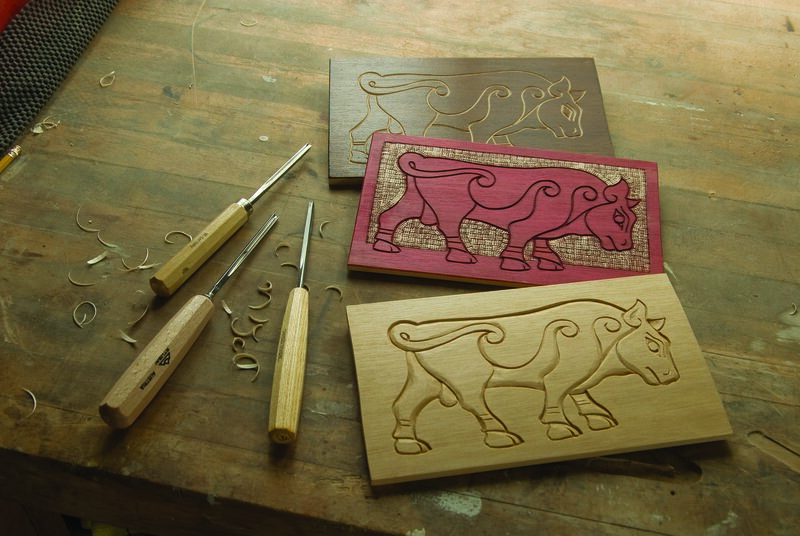 Rounded corners are easier to cut and allow you to make minor adjustments to the design when you start carving. 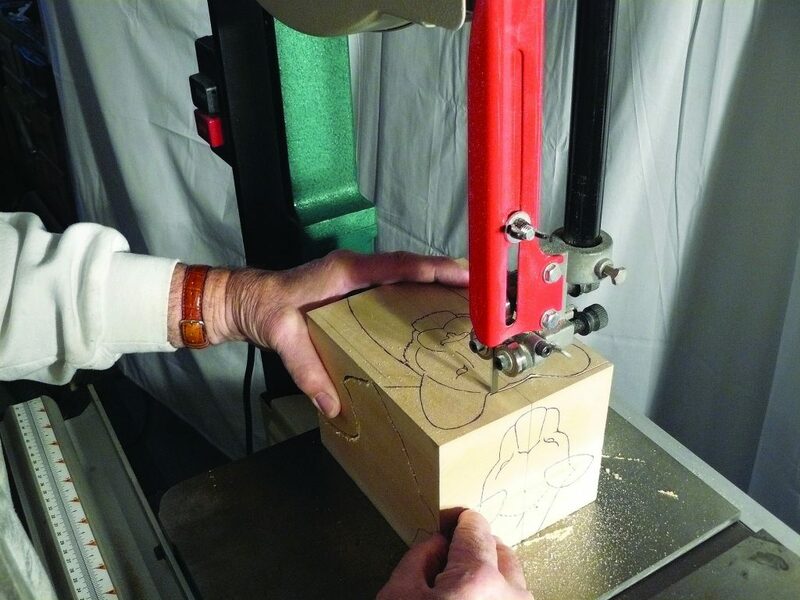 If you cut the top view, your carving must be separate from the base, and your band saw must be large enough to accommodate the height of your project. 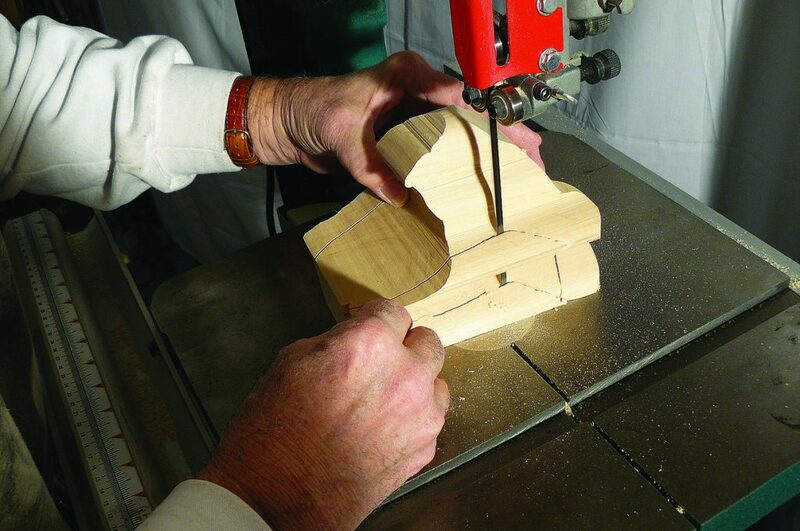 Many band saw manufacturers make riser kits to provide increased cutting capacity. 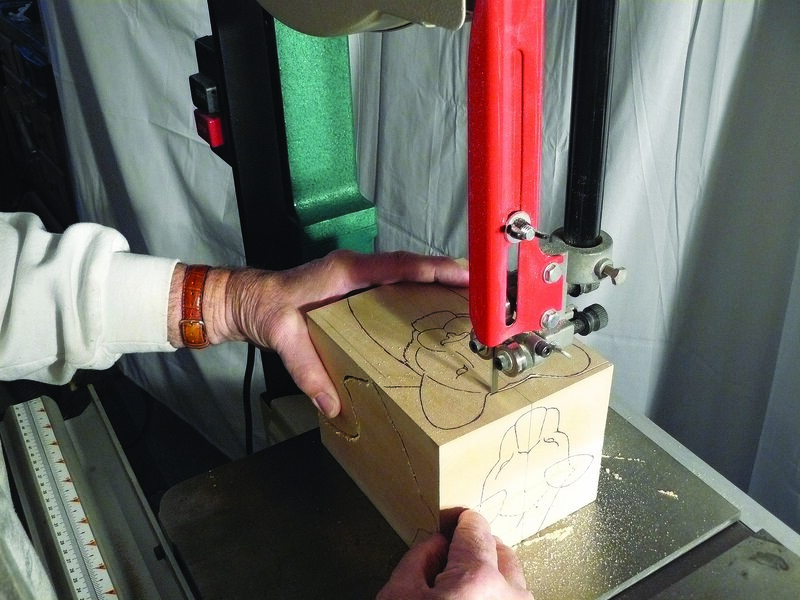 These kits usually add 6″ to the maximum height of your carving blank. I use a 1/4″ (6mm)- or 3⁄16” (5mm)-wide blade with four teeth per inch. 1. Prepare the blank. Make sure the sides of the blank are all square with each other. The major landmarks on all three views of the drawing must line up. Draw centerlines to help position the patterns. 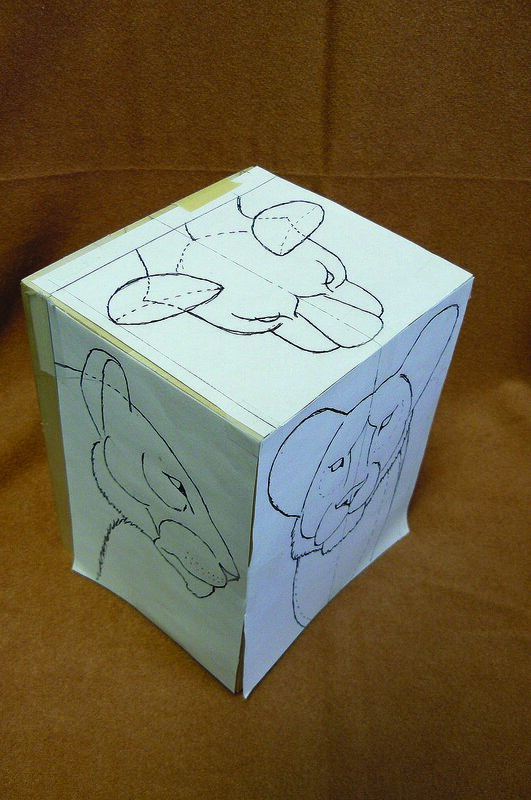 Tape the patterns in place, slip carbon paper under the patterns, and trace the patterns onto the blank. 2. Cut the side view. Cut along the pattern to the middle of the line and stop. Turn off the saw and back out of the cut. 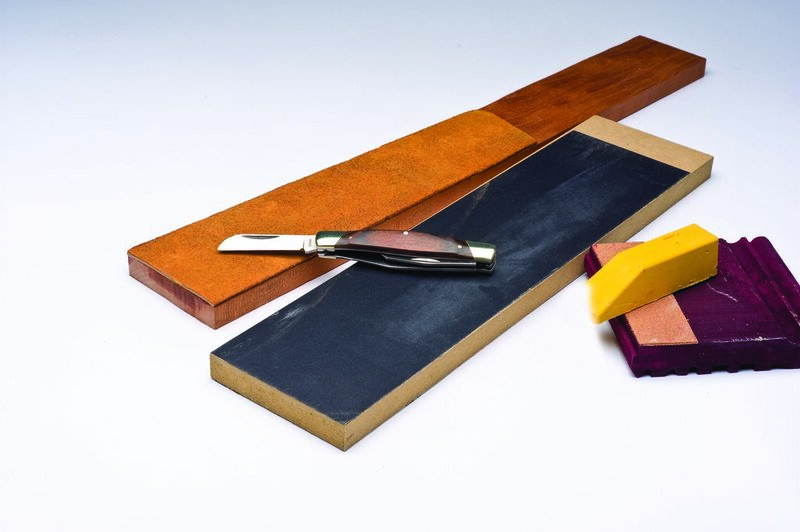 Cut in from the other end of the blank, but stop about 1/2″ (15mm) from the end of the first cut. Turn off the saw and back out of the cut. Repeat on the second side of the side profile if applicable. The uncut wood keeps the waste attached while you cut the other pattern views. 3. Cut the front view. 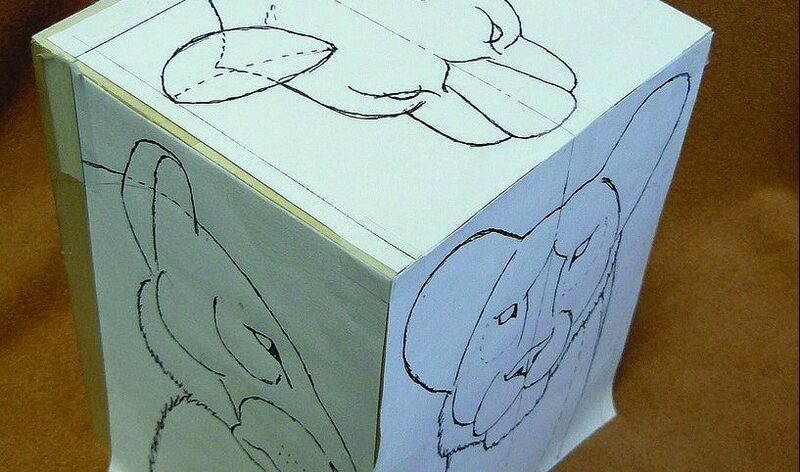 Use the same technique to cut the front view. Cut from one end of the blank, stop near the middle, turn the saw off, and back out of the cut. Cut in from the other end, stop 1/2″ (15mm) from the end of the first cut, turn the saw off, and back out of the cut. Repeat on the second side of the front view if applicable. This leaves two tabs, one on each side, to secure the waste. 4. Cut the top view. Use masking tape to secure the waste if necessary. Cut along the outline of the top-view pattern. Make one continuous cut or cut the profile in sections. One continuous cut provides additional support, but it can be difficult to cut depending on the complexity of the pattern. 5. Remove the waste stock. If you cut the top view in one continuous cut, the blank should slide out. If you cut the top view in several sections, the waste will fall away as you cut. 6. Finish the connecting cuts. 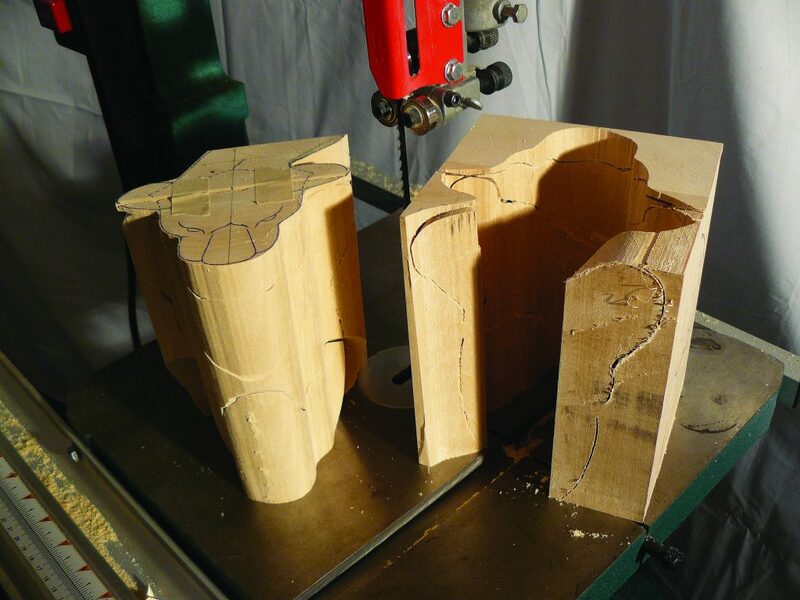 With all of the loose waste wood removed, finish the partial cuts from the front and side views. This removes as much of the waste stock as possible. Jim Willis has been carving as a hobby since 1976. 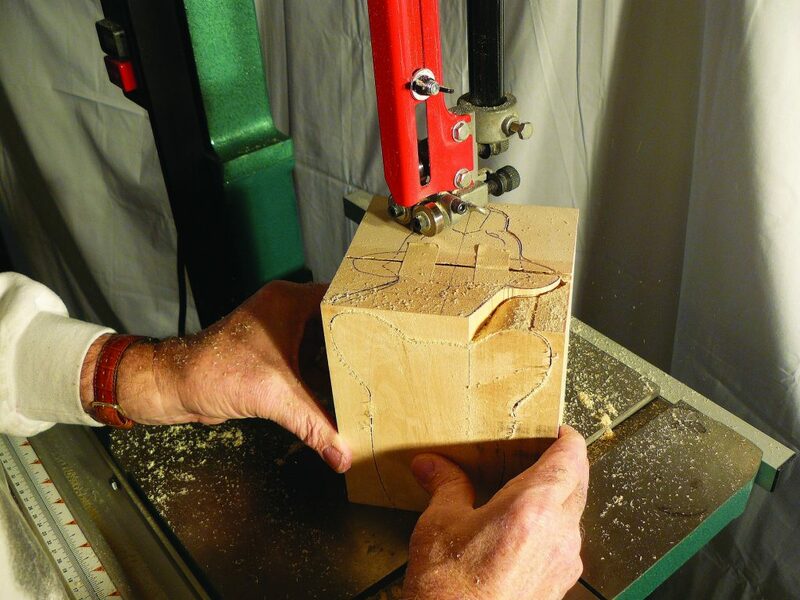 After retiring from teaching in 2001, Jim started teaching at carving seminars in the Branson, Mo., area, and continues to do so. Jim and wife, Ellen, live in Kansas City, Mo. 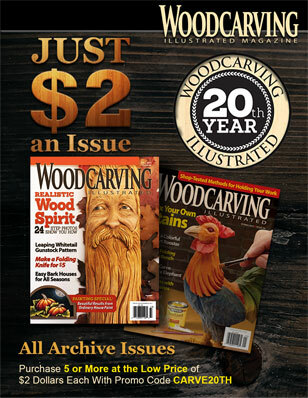 To see some of Jim’s work, visit his website at www.wildlife-woodcarver.com.